Relay For Life is a fun-filled, overnight event designed to celebrate survivorship and raise money to help the American Cancer Society save lives, help those who have been touched by cancer, and empower individuals to fight back against the disease. During the event, teams of people gather and take turns walking or running laps. This year we paired up with the lovely men of Delta Chi to join the movement and celebrate the cause. 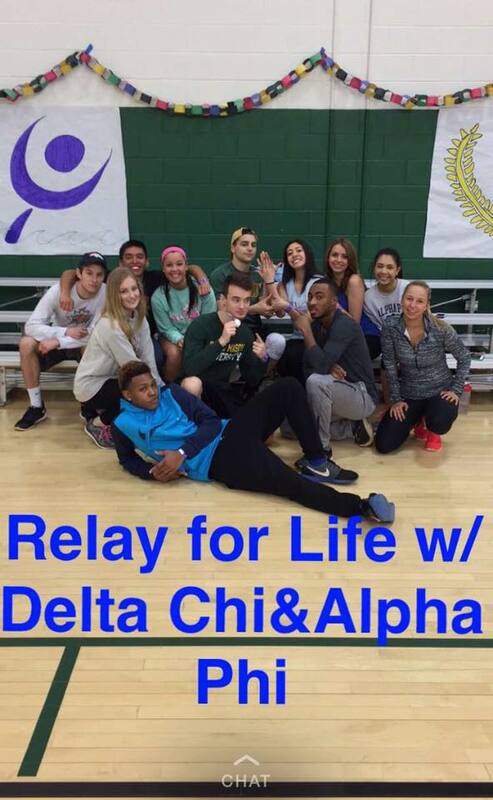 The gentlemen of Delta Chi and our amazing sisters joined together for a fun filled and meaningful day. Check out below to see how much fun we had together! We are so grateful to Delta Chi for joining us for such an important cause. For those who have lost their battle with cancer, for those who have won, and for those currently fighting, we support you.